Your Secure Cloud - Your new, innovative and secure online data storage. In today’s times, having one’s data available immediately and fast is of vital importance in the private sector as well as in the business sector. Using a vast variety of technical devices, keeping an overview and data security might become a problem. But what if you could store all your data at one safe place? A place where you can access your data any time? Be it the pictures of your last holidays or highly important documents of your company. The perfect solution: a secure online storage, more specifically a secure cloud - Your Secure Cloud - Your cloud provider from Germany. Store data safely in the cloud and share with friends with a maximum of safety for a minimal price. Storing, sharing and managing important commercial data in the cloud. High security standards provide a maximum of protection. that I also tested on a long-term basis by its combination of features. I particularly appreciate the fact that Your Secure Cloud synchronizes my data really fast and that it's highly secure. The support responds quickly and is always helpful. 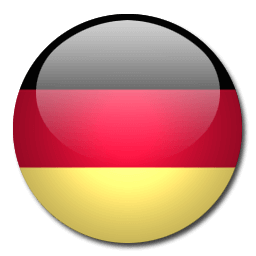 Those who looking for a reliable German cloud provider, will find their right partner here. We use "Your Secure Cloud" in order to improve and facilitate the organization and management of our company’s projects. Furthermore, the cloud storage serves as backup solution for our most important data. We particularly value the friendly and highly competent support team! We offer an exceptional service in the cloud business for private and commercial customers. Fast, innovative and secure. We provide a secure cloud storage for your data by using our Swiss SSL certificate which differs clearly from the common American encryptions and by exceptionally using German servers. Due to this high value certificate, we can provide you with an absolute security of your important and personal data. Furthermore, we offer a highly personal individualization and adaptation of your secure cloud storage. Use the option to transfer your data into the cloud and to have access to it worldwide. We as a cloud provider make it possible for you to access your data from your computer with any of the common operating systems as well as from your mobile device – fast and easy with our secure cloud. As one of the most innovative cloud computing providers in Germany, Your Secure Cloud offers a service with high flexibility and security that is furthermore perfectly adjusted to your individual needs. Share texts, invitations or your most beautiful memories in the form of pictures with your family and friends. It is easily possible to adapt your secure online storage to your individual wishes and needs. Wherever you are, your data is just one click away. Our Features - Your advantage! Also for businesses the secure cloud is an advantageous means of working faster and more efficient. Today, above all, it is of vital importance to have fast and easy access to important data or to be able to transmit them. A private and secure cloud storage means the perfect possibility for you to react internally and externally flexibly and fast to any kind of events. Promote the networking of your company or the cooperation with your partners and use the advantages of a common online storage in our cloud. Wherever you are, with our secure cloud solution you can, for example, create folders or groups for different working sectors or teams or share data easily and fast. Your team can work on the data in real time and you will get to appreciate the advantages of a fast access by using the cloud. With file hosting of our security cloud you are well-prepared for any eventualities. Work can be so fast and easy. Your Secure Cloud – Your innovative cloud provider from Germany.